BOH3003. Fabulous Bohemian scent Bottle. 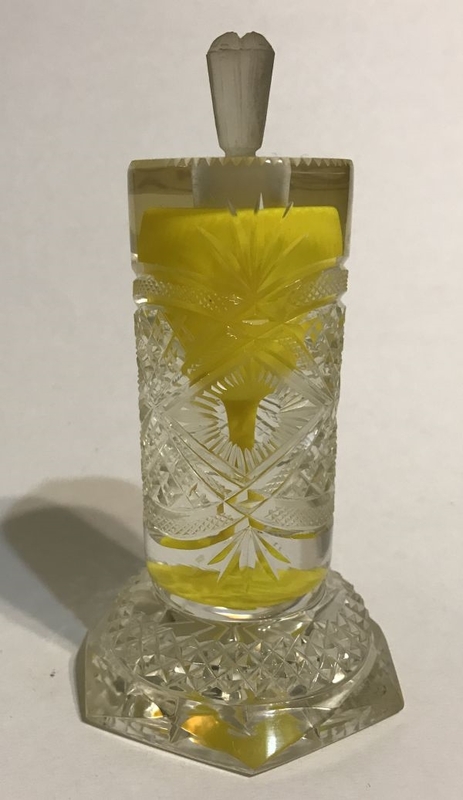 The maker of this scent bottle is unknown, but I attribute it to Bohemia. An yellow goblet is encased in clear crystal and has superb cutting to the body, foot and stopper. 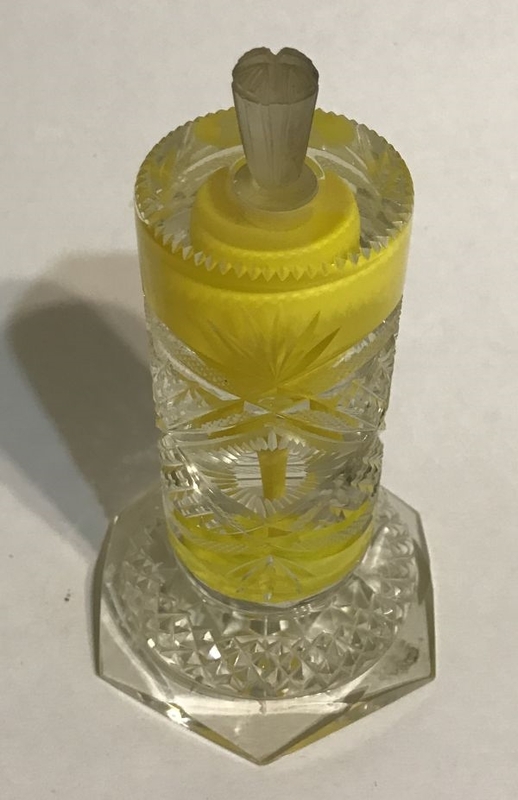 Original clear crystal frosted stopper. 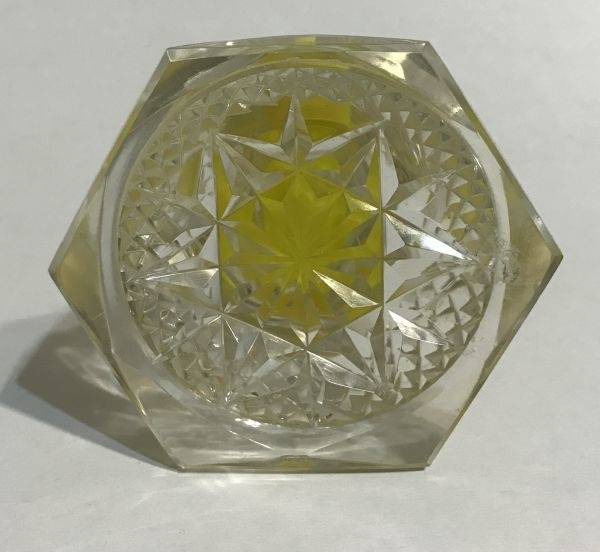 An interesting piece that incorporates paperweight techniques with cold working to form an art glass object. 6” tall.